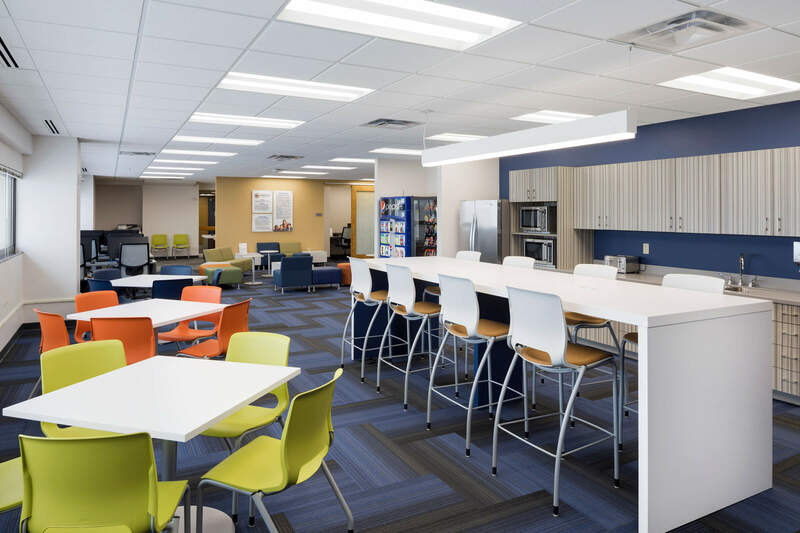 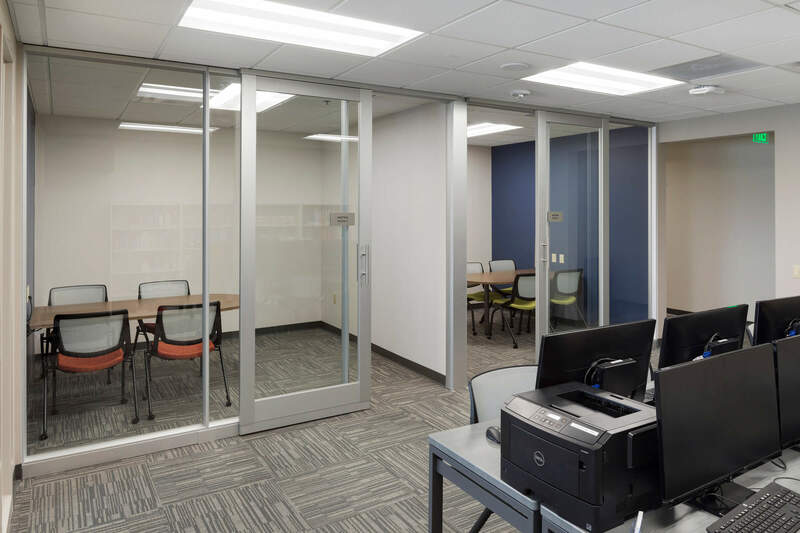 Mohagen Hansen Architecture | Interiors was selected to assist Herzing University with the recent relocation and expansion of their Minneapolis campus. 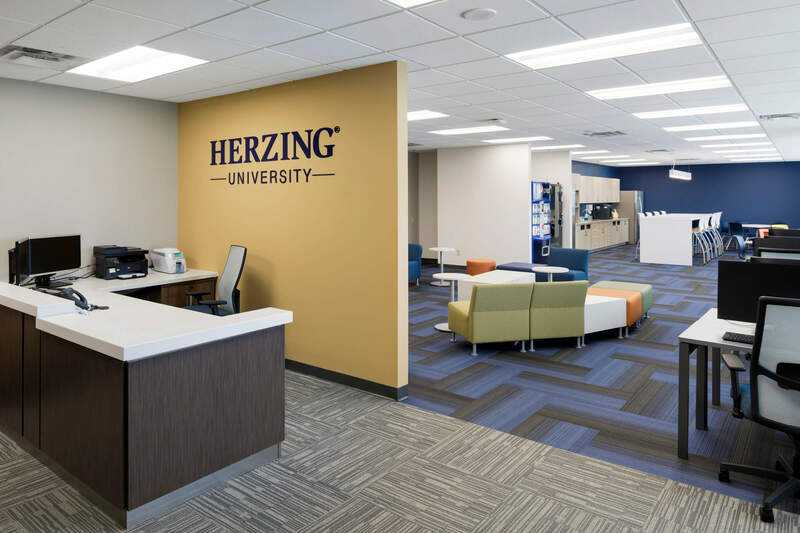 Herzing University has been steadily growing, and was in need of space to accommodate its current students, as well as the increasing number of future students. 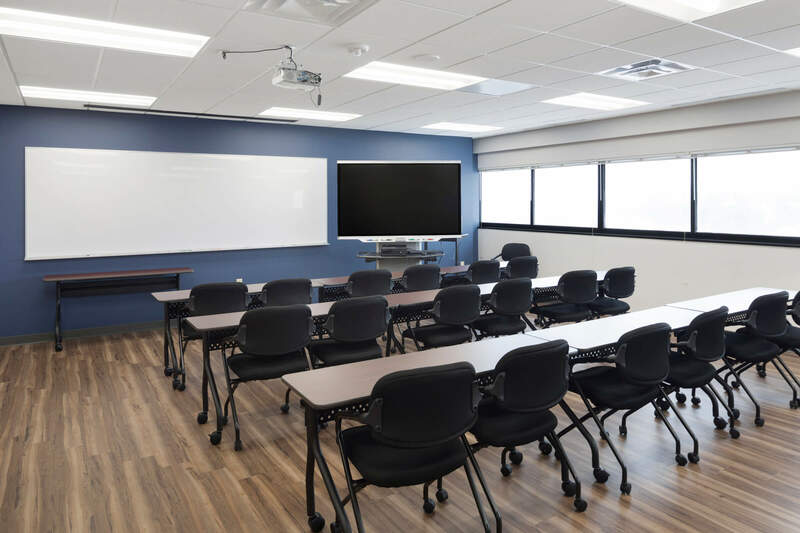 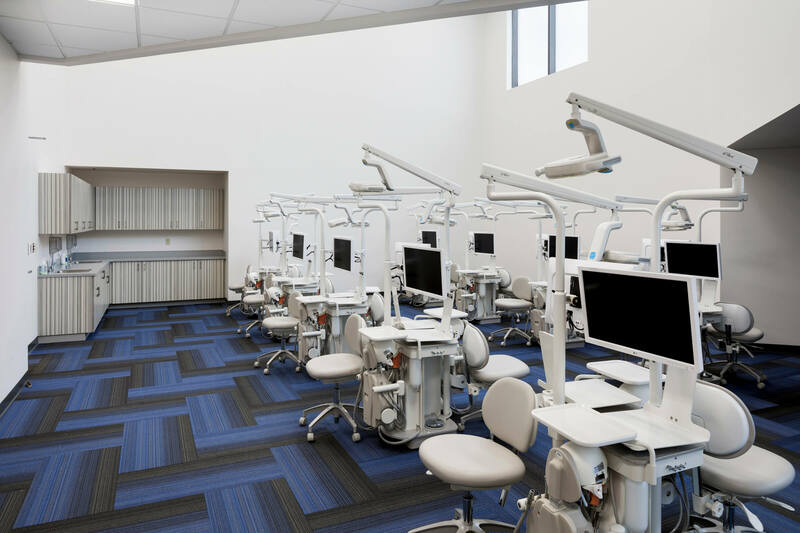 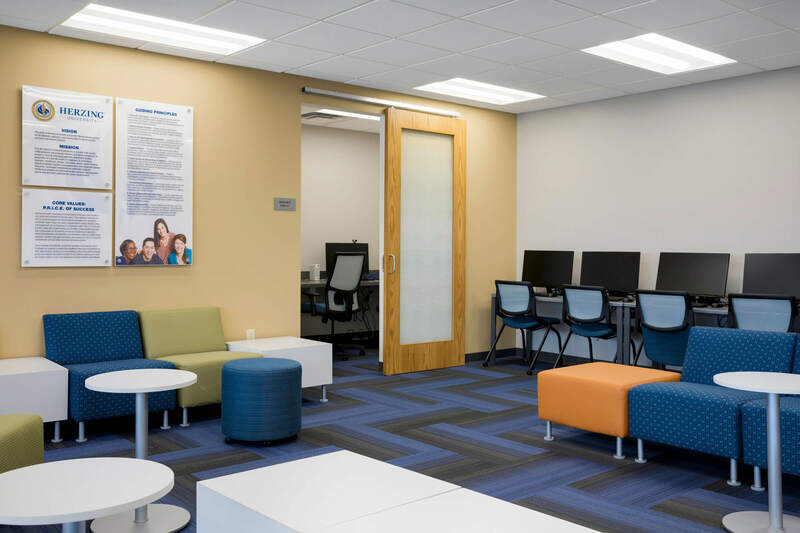 One of the main objectives of the new space was to entice prospective students with the communal study space, as well as the high-tech classrooms including the Physical Therapy Training classroom, Dental Simulation space, and the High-Intensity Nursing Simulation room. 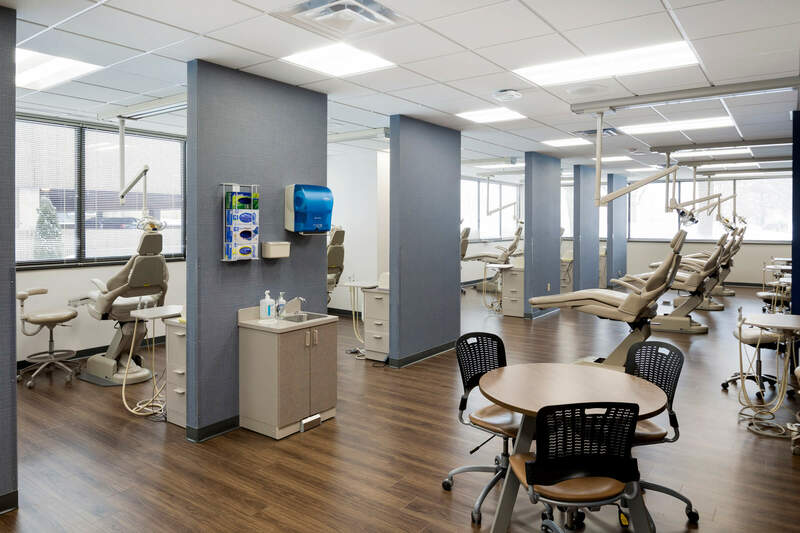 The design of the space is a hybrid between educational facility layout, corporate public space functionalities, with the healthcare efficiencies found in the classrooms. 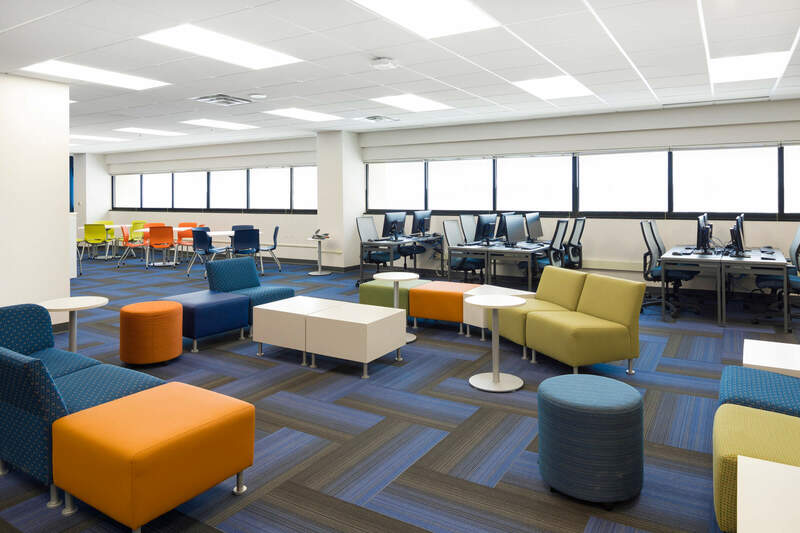 The space allows for the future growth of Herzing University, while accommodating the current students and staff appropriately.